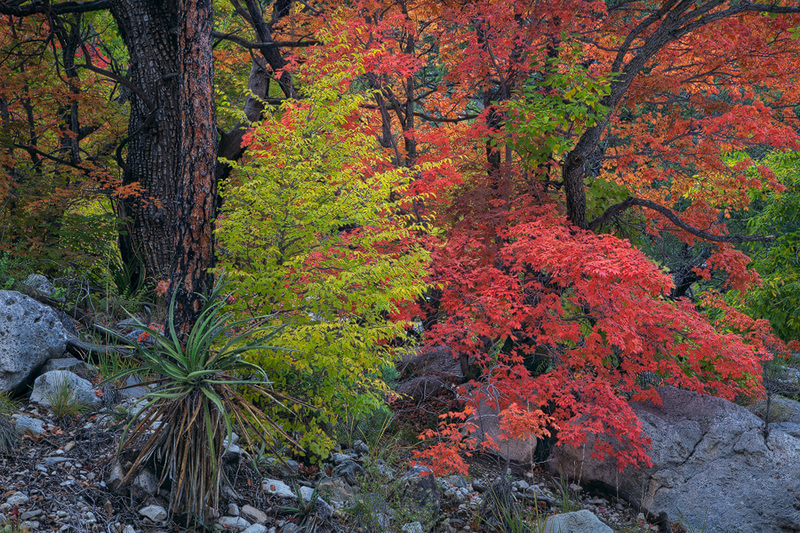 A beautiful display of autumn can be found while hiking along the Devil's Hall Trail in the Guadalupe Mountains National Park in West Texas. This image features a vivid display of fall colors including pink, orange, yellow and neon green. Photo © copyright by Michael Greene.